We are very excited to introduce one of our summer Sales Intern, Cameron Myers. Cameron was raised on his family farm in Elwood, Indiana. He began helping out on the farm at a young age and also participated in 4H. 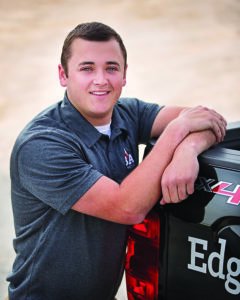 Cameron’s interest in agriculture lead him to pursue a degree at Purdue University in Agribusiness Management. When Cameron isn’t helping out on the farm, he likes making his favorite meal – a peanut butter and dill pickle sandwich, and spending his free time outdoors, doing activities such as hunting, fishing and golfing.